Srinagar: Under attack from the opposition for "shelving the promise of dialogue with the separatists", Jammu and Kashmir Chief Minister Mehbooba Mufti on Saturday told the Assembly that there was "no other way but talks" for the resolution of the Kashmir issue. "Dialogue has always been part of our agenda and manifesto, whether it was in 2002 or today. Several wars have been fought but the issue has not been resolved. You cannot resolve issues with guns or armies. "We have to unite to get this (resolving the issue) done. Our people are dying, life along the border is disturbed and poor people on both sides are dying," she said while taking part in a discussion on obituary references for notable leaders who passed away between the two sessions of the state Assembly. The Jammu and Kashmir legislative assembly met in Srinagar on Saturday for a special session on the implementation of GST in the state, but decided to adjourn the House indefinitely till an all-party panel, formed to look into the new tax regime, submitted its report. Mehbooba said while India was surging ahead of its neighbouring countries due to democracy, the "strangulation of this very idea in Kashmir" had led to the deteriorating situation in the Valley over the years. "It is democracy which has kept the nation alive and helped it move ahead of its neighbours. In our state, the main reason behind the bloodshed we are witnessing is that democracy was not allowed to take roots here. It was rejected and strangulated," she said. The People's Democratic Party (PDP) chief said it was only in a democracy like India that people could put their divergent views out in the public domain. "(Independent MLA) Engineer Rashid is talking big here and he can do it. We will not see this anywhere else. There is no tolerance for such things (in other countries)," she added. Stressing on the need for dialogue to resolve the Kashmir issue, she said whatever happened in the past should not come in the way of efforts to resolve the issue "through talks". 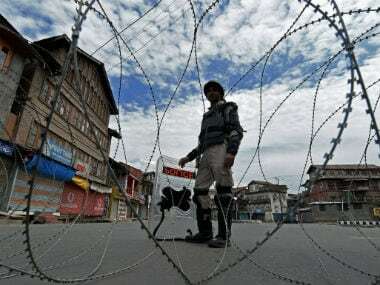 "Those who used to talk about drowning the separatists in the Jhelum and killing all the militants when the then prime minister AB Vajpayee mooted a Ramzan ceasefire, are calling for a dialogue today. This means things are changing slowly," said the chief minister. Responding to the allegation of "state terrorism" levelled by the opposition, the National Conference (NC) and the Congress, she said if it was true, 12-year-old kids would not be pelting stones near the encounter sites. "Somebody was talking about state terrorism. There was a time when people used to run away from the encounter sites due to the fear of being used as human shields. Some people had even lost their lives in this manner (due to being used as human shields). That is state terrorism. 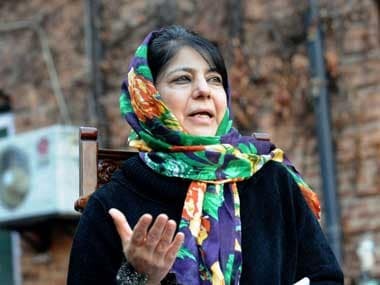 "If there was state terrorism today, then 12 and 14-year-olds would not pelt stones (at the security forces) at the encounter sites," Mehbooba said. Highlighting the importance of dialogue in resolving issues, the chief minister, however, hinted at Pakistan not reciprocating the gestures of the central government led by Prime Minister Narendra Modi. "Former prime minister) Manmohan Singh wanted to visit his hometown in Pakistan but could not do so. Modi went to Pakistan, but then the Pathankot (terror attack) incident happened," she said. Earlier, NC leader Mohammad Shafi Uri urged the government to stop the "state terrorism" and killing of innocents to pave a way for dialogue. "I appeal to the central and state governments to open the doors for dialogue to put an end to the atmosphere of state terror as it cannot solve the issues. It only complicates them further," he said while initiating the proceedings on the obituary references in the Assembly. 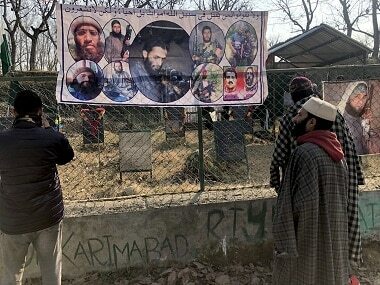 Uri accused the Jammu and Kashmir government of "imposing state terrorism" and said words were not enough to condemn it. 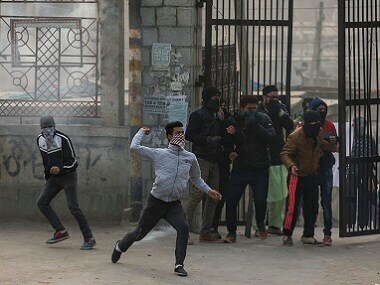 He said the statements coming from the leaders of the central government indicated that they were trying to resolve the Kashmir issue through administrative measures, "which will have dangerous implications". "I am surprised that Union Home Minister Rajnath Singh said a durable solution to the Kashmir problem would be found soon. How can he do that when the doors for dialogue have been closed. Look at the world history. Internal resistance movements have always been resolved by dialogue. "Talks have been going on with the Nagas. They come from Burma (Myanmar), hold talks and go back. Democracy demands that the doors for dialogue should never be closed," he said. Congress leader GM Saroori lashed out at the Centre and the state for the "incessant bloodletting" and deteriorating situation in Jammu and Kashmir. "The dance of death has entered the schools and colleges. Security forces personnel are getting killed. Pellet guns are being used on the students. 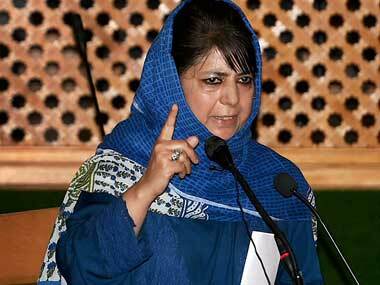 You (the PDP-BJP government in the state) have no right to remain in power," he said. 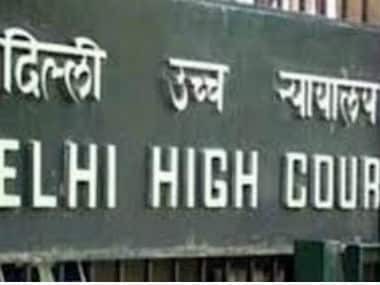 Referring to the Centre's stand on triple talaq and beef ban, the Congress leader claimed that the PDP had "no dignity left" by continuing in the coalition government with the BJP. "You have no dignity left by continuing in the government which is being run by the Bajrang Dal and RSS," he said. The other leaders who spoke on the obituary references included Deputy Chief Minister Nirmal Singh, BJP leader Sat Sharma, CPI(M) MLA M Y Tarigami, Independent legislators Hakeem Mohammad Yasin and Sheikh Abdul Rashid.